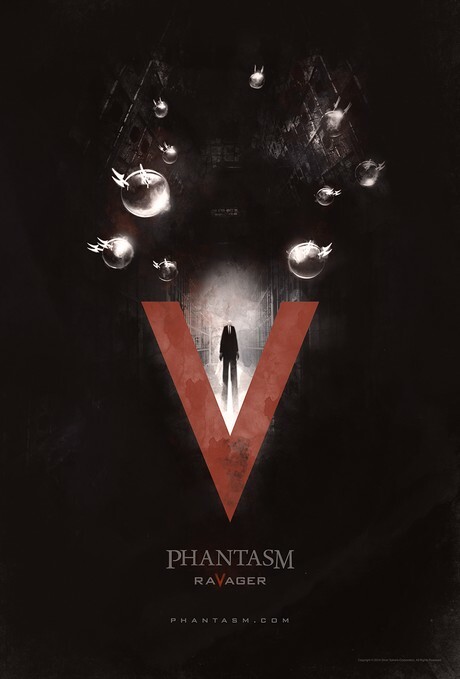 AICN Exclusive: Phantasm V is real and here's the teaser poster! Ahoy, squirts! Quint here. Boy oh boy (see what I did there?) do I have an interesting debut for you today. Fans of the Phantasm films have been hoping for a sequel ever since the cliffhanger ending of the fourth installment. Wishes do come true. I have a poster to debut for Phantasm: Ravager, which is indeed Phantasm V. I can 100% vouch for its legit-ness, but I can tell you nothing more than here is the poster for Phantasm V, which may be ready for you to see sooner than you think. No, I said some more! I will say no more. For now... Boooooooooooyyyyyyyyyyyy. Come on, you muthas! Who's excited for more Phantasm?